Small Biz Thoughts by Karl W. Palachuk: Erick Simpson's Best Books and Training - Now at SMB Books! 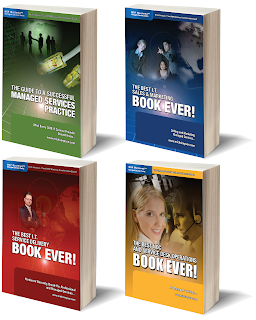 I am extremely pleased to announce that we have made a deal with Erick Simpson - one of the founders of the Managed Services business model - to distribute his best books and training materials over at SMB Books. In fact, we have a special section just for Erick's Stuff! AND we've got a special new price. Each of these books is currently available from us at only $39.95. And the bundle of all four is only $139.95! The Guide to a Successful Managed Services Practice applies some of the most innovative and highly effective Managed Services techniques ever developed, and proven to increase long-term predictable revenue, thereby increasing an IT Organization's value. 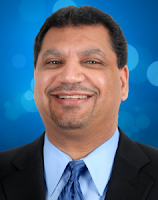 Leverage Erick Simpson's successful Managed Services concepts. Following up on the success of The Guide to a Successful Managed Services Practice - What Every SMB IT Service Provider Should Know...; the definitive book on transitioning a reactive IT business model to proactively-delivered Managed Services, Erick Simpson's The Best I.T. Sales & Marketing BOOK EVER! focuses squarely on one of the most challenging aspects of running a successful I.T. practice - growing through effective sales and marketing. The Best NOC and Service Desk Operations BOOK EVER! reveals how to build, staff and maintain a NOC and Service Desk effectively and profitably, along with best practices and techniques to increase efficiencies and net profits for these critical business service delivery business units. Erick Simpson is the co-founder of one of the first "Pure Play" MSPs in the industry, and creator of the MSP Mastered™ Methodology for Managed Services business performance improvement. He is a strategic technology business growth and transformation specialist and one of the most prolific, recognized and sought-after business improvement and transformation experts, authors and speakers in the industry. Erick has contributed to numerous industry publications and events and authored over 40 business improvement best practice guides and 4 best-selling books. Provider, MSP, Cloud and Security practice business transformation consulting engagement outcomes. Visit the Erick Simpson Page at Small Biz Thoughts! And learn more about Erick and his services at www.ericksimpson.com. I have been in the MSP Space for 21 years and started doing RMM early on based on the recommendations from Erick Simpson as we worked our way through the MSP University with Erick ten plus years ago. I have read all of Erik's books and have implemented as many ideas as possible. If you are serious about "working on your business" these books are a must read for any MSP. Even for seasoned MSPs reading through the books you will have 'ah ha moments" and go back and update your processes. Thank you for the endorsement! I'm sure Erick appreciates it.